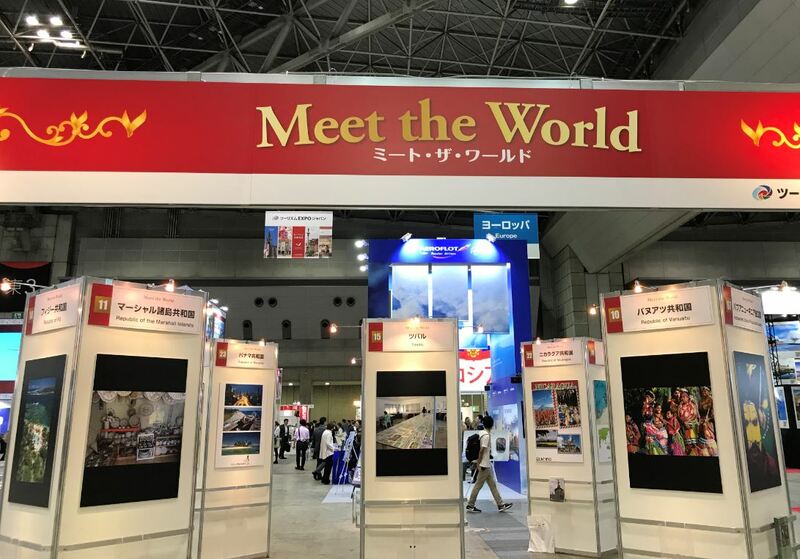 TOURISM EXPO JAPAN 2018 was held at TOKYO BIG SIGHT from September 20 to 23.The number of visitors during the period hit a record high of over 200 thousand; one of the largest tourism exhibitions in the world. PIC has offered assistance through PR job for Pacific Island Countries’ economic revitalization centering “TOURISM”. PIC displayed photo panels of Pacific Island Countries, which remain less well-known in Japan, in “MEET THE WORLD”, the special promotion area supported by the EXPO organizer.